Brett Kingsbury enjoys a diverse performing career as both a soloist and a collaborative artist. Brett is the pianist for the Madawaska Chamber Ensemble, which has performed extensively to great acclaim, and he has also worked with many other ensembles and performers, including the Borealis and Penderecki string quartets, members of the Hamilton Philharmonic and Toronto Symphony Orchestras, and violinist David Gillham. In the summer of 2012, Brett had the opportunity to perform in numerous cities across China on tour with soprano Deirdre Fulton. At concerts for the Kitchener-Waterloo Chamber Music Society and at the University of Toronto, Scarborough Campus, Brett performed Ferruccio Busoni’s Fantasia Contrappuntistica, a daunting and rarely heard work that he made the topic of his doctoral dissertation. 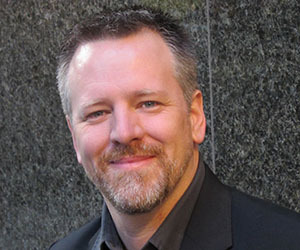 Brett is currently an associate professor for the Don Wright Faculty of Music at Western University, where he teaches undergraduate and graduate Piano Literature. He is also a sessional lecturer at the University of Toronto Scarborough, and a former faculty member at Brock University. Brett is very active as an adjudicator for festivals across the province, and for the Phil and Eli Taylor Academy and the Glenn Gould School at the Royal Conservatory of Music. While a student at the University of British Columbia, he was named R. Howard Webster Fellow at Green College. Brett studied with Leslie Kinton at the Royal Conservatory of Music in Toronto, and he received his Doctor of Musical Arts degree while studying with Robert Silverman at the University of British Columbia.